Even though my main responsiblity is discipleship and small groups, I am what you might call a “utility player.” I dabble in a lot of different areas in the form of hobbies and in ministry. 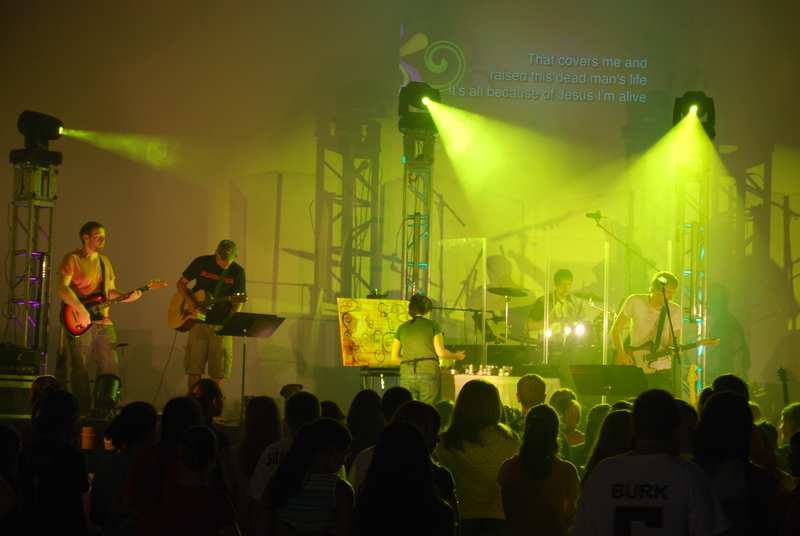 I led worship for four years before shifting my focus and every summer I get to go back to my roots in worship ministry by serving in the worship band for middle-school camp. 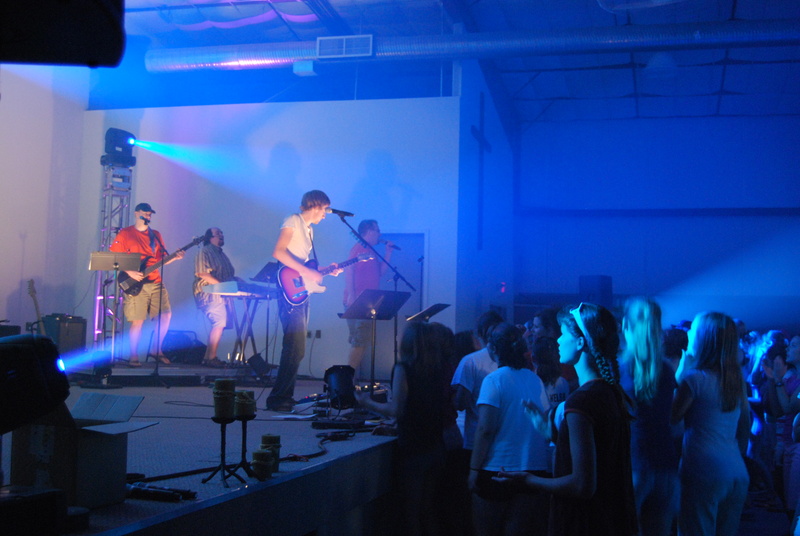 I love it because worship band at camp always brings together old friends that love to jam together and lead middle-school students into the presence of God. This year is like no other. This isn’t your dad’s week of church camp! Check out the photos below…. Is that Zastrow in that pic…if not it looks just like him. Looks fun. where is this camp? no way that is LGCA, is it?